More and more Americans are viewing the nation’s foundational laws and principles not as a source of pride but as the root of its problems. Here is why this trend is dangerous. The United States of America is an exceptional nation in world history. As no other nation, it has stood for limited government, separation of powers, rule of law, freedom of religion, freedom of speech, free-market economy, and other principles outlined in its founding document, the United States Constitution. These have contributed to making America incredibly free and prosperous, a magnet for immigrants from nations around the world, and an undeniably positive force in the world for most of its history. This trend is terribly dangerous. Contempt for America’s heritage is fueling a wholesale departure from it. Whereas the founders established the nation on biblical morality, this growing movement is amoral and areligious. It is anti-history, anti-tradition, anti-authority and anti-law. A breakdown in the rule of law is devastating to a nation. Our world is filled with nations where government simply does not enforce law and order, and as a result, criminality, corruption, bribery, thuggery and lawlessness are rife, as are the squalor and low standards of living that always accompany them. As America abandons the laws on which it was established, this is its future. America’s Founding Fathers warned explicitly of this very problem. The United States Constitution is the foundation of the American republic. And the Bible, in many ways, is the foundation of the United States Constitution. America’s founders believed their republic would collapse if they didn’t keep God’s Ten Commandments! The rule of law is mighty difficult to establish. The majority of nations struggle to do so successfully. Those that do succeed, struggle to maintain it because forces of lawlessness are always on the attack. This is why the Trumpet watches the rule of law in America so closely. It is not just as a matter of historical interest or political theory—it is a matter of national and personal survival. The Trumpet and its predecessor, the Plain Truth, have forecast for more than 70 years that the rule of law in America will deteriorate, with devastating consequences. Early immigrants to America knew what it meant to be deprived of freedom. Most came from the British Empire, perhaps the greatest and freest empire in world history. Yet even there, a government that derived its powers from the governors, not the governed, denied its citizens freedoms of religion, speech and assembly. So American colonists formed their own local governments. Many statutes contained in these compacts, covenants, frames of government and capital laws derived from the Bible used the same phrases as the Bible and even cited biblical chapters and verses. With these convictions, America’s founders dedicated themselves to an experiment in human freedom. If their only motivation had been to preserve their lives and their fortunes, they would not have launched the experiment that disrupted all those benefits. They were motivated by something greater: a belief that the natural rights of man were “eternal and immutable” because they came from man’s Creator. Against all odds, the American Revolution was won. The infant nation replaced its failing first constitution with one that would last well over two centuries. The experiment continued, and the world watched. Could a nation still hold together if it rejected monarchy, aristocracy and empire? Could it be strong if it staked its existence upon the Bible’s influence on its individual citizens? Would the American experiment succeed—or explode? Over two centuries have followed since the United States ratified its Constitution. During this period, America survived, then thrived, and then became the greatest nation in human history. America has not been without its problems. It can be fairly said that by many measures America has been the greatest nation in human history; however, to paraphrase Winston Churchill, that simply means that it is the worst nation in human history, except for all the others. Human activities have been a mixture of good intentions blended with selfishness and evil. Well read in history, the founders themselves recognized that this was true. They were well acquainted with the dangers of human nature. (To understand the origin of this evil, read our booklet Human Nature: What Is It?) That is why they emphasized the importance of religion and morality. They did not want to see the United States of America self-destruct. That is why they sought to create a government that could maintain necessary order while restraining the human nature within and the tendency toward tyranny by the governors. In the Constitution, they established a system aimed at preserving for each person maximum responsibility for his own life and maximum freedom to serve God according to his convictions. That system works wonderfully well for a people who govern themselves by the laws of God. However, it has also given people freedoms to exercise greed, materialism, lust, license and other immorality. Naturally, like every nation in history, America’s history has been strewn with imperfections, disappointments and evils. Historically, Americans have tended to attribute many or all of these problems to human failings to obey the natural laws established by their Creator. Today, however, many Americans think that the causes of these problems are America’s laws. This hatred against America’s existing rule of law is not just an emotional reaction among anarchist rioters. It is also a strong ideology that has convicted the minds of reporters, entertainers, educators, schoolchildren, workers and even top members of the government itself. This anti-law ideology now runs so deep that it has affected most and convicted many of America’s lawmakers, judges and executives. Many serve this ideology or their party more than their actual offices. 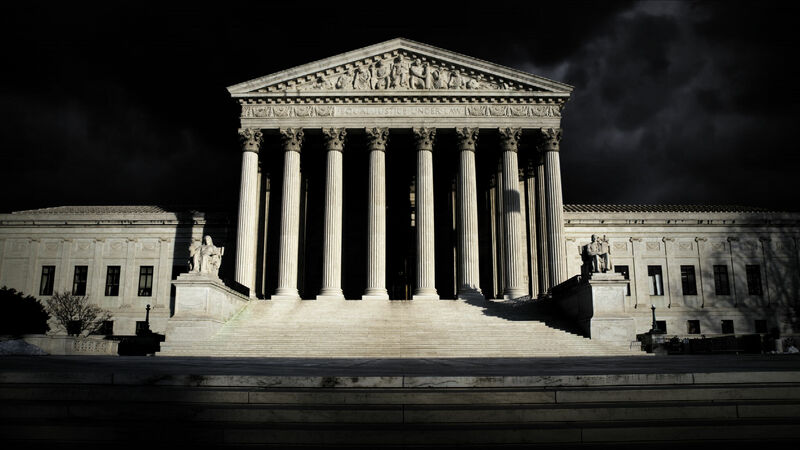 Supreme Court justices, whose offices and powers exist because of certain clauses of the Constitution, argue that other clauses should be twisted or ignored. Members of Congress, who are responsible for representing the people, make laws that represent other interests. Presidents, whose office exists to enforce laws made by the legislature, refuse to enforce laws, and instead enforce ideas for which there are no laws. This is a graver danger than most people realize. The danger of Americans rejecting the Constitution is not simply that they disagree with its specific clauses. The danger is that they reject the concept of a supreme law of the land, a higher authority that everyone agrees to abide by and to change only according to that authority. Simply put: They reject the rule of law. The anti-law ideology that permeates America today actually arouses hostility toward the Constitution—the foundational document of the nation. Since Volume 1, Number 2, the Trumpet has forecast that the American experiment will end in failure. The Trumpet’s predecessor, the Plain Truth, made the same forecast of national collapse since its first issue in 1934. The Plain Truth and the Trumpet made these projections by focusing not on economic indicators, political factors or military developments—but on American law keeping. You can see scriptural proof of that last statement in Romans 13, 1 Peter 2:13-17 and many other passages. Mr. Armstrong understood that God had gifted America and Britain with special blessings of national greatness. (This has become a controversial statement today, but you can readily prove it. We encourage you to read Mr. Armstrong’s landmark book The United States and Britain in Prophecy.) And God, being the source of those blessings, Mr. Armstrong warned, could and would revoke them because of the rebellion of the Anglo-Saxon peoples. In 2013, Mr. Flurry showed how the real source of the trend toward lawlessness is spiritual—an evil spirit who is the most lawless being in the universe. Satan hates truth and law. He is working to cast truth to the ground, to convince people to break the rule of law and to replace it with the rule of brute force. The trend toward lawlessness is already tearing down the foundation of America’s republic. Any good history book will show us that. But even more convicting than that should be the words of the Bible. A limousine with graffiti spray-painted on the side is set aflame after the inauguration of Donald Trump as the 45th president of the United States on Jan. 20, 2017, in Washington D.C. Hundreds of thousands of people combined to celebrate and protest. The fatal mistake is not simply rejecting a document created centuries ago by brilliant and sincere men. It is something deeper. It is the reason the Trumpet watches this trend so closely and makes the bold forecast that the United States, the single most powerful nation in the world, will fall. Americans have rejected not only the laws of their own land but, more importantly, the fundamental principles upon which these laws are based. These principles are inexorable natural laws given to us by the Creator. These principles are the laws of God, which are revealed in the Bible. These biblical principles are the reason for the remarkable success of the United States Constitution compared to other written constitutions. This is the reason American society has remained free: because Americans have lived in at least partial accordance with the laws of their Creator. And as our people have obeyed not just human laws but also natural laws—God’s laws—the Creator has blessed this nation with prosperity and safety. The Constitution gets some fundamental questions very correct. It does so to the degree that it operates in harmony with the foundational truths revealed by our Creator. Its authors helped to secure the blessings of liberty to their posterity not because of their brilliance but because of their humility before divine providence: the great Lawgiver and the Supreme Judge of the world. The reason rejecting America’s constitutional rule of law is so monumental is that it is a form of rejecting God. The Bible includes not only eternal principles of human thought and interaction, but also descriptions of what happens when human beings reject these principles. Many of these descriptions were written centuries or even millennia before they happened. These are called prophecies, and they revolve almost exclusively around the real-world consequences human beings experience when they reject the laws of their Creator. The Bible, however, does more than merely predict general outcomes of certain human behaviors. It contains dozens of specific prophecies that apply directly to the modern descendants of Abraham, Isaac and Jacob (who was renamed “Israel”). These nations include the Jewish nation of Israel, the nations of the former British Empire, and America. The Bible prophesies that the modern nations of Israel, including America, will be cursed in the city and cursed in the field. Their cities will burn with fire. The people will fall in their iniquity (Deuteronomy 28:16; Isaiah 1:7; Hosea 5:5). Specifically, the Prophet Isaiah says the people are “laden with iniquity, a seed of evildoers, children that are corrupters: they have forsaken the Lord, they have provoked the Holy One of Israel unto anger, they are gone away backward … the whole head is sick, and the whole heart faint” (Isaiah 1:4-5). This lawlessness will lead to anarchy and civil war, followed by America’s worst-ever military defeat! This is where America’s trend toward lawlessness is leading. This is how the American experiment will end. It will confirm a lesson that has been proved time and again through human history—and that will endure forever—that a nation can only endure by upholding and obeying the law of God! WHY THE TREND TOWARD LAWLESSNESS? The lawlessness increasingly pervading America is far more dangerous than most people realize. Also, there is a spiritual dimension to the attack on law that very few recognize. The most lawless being in the universe is identified in the Bible as Satan the devil. Scripture also reveals that he is active in the world and is waging a particularly focused attack on modern-day America. 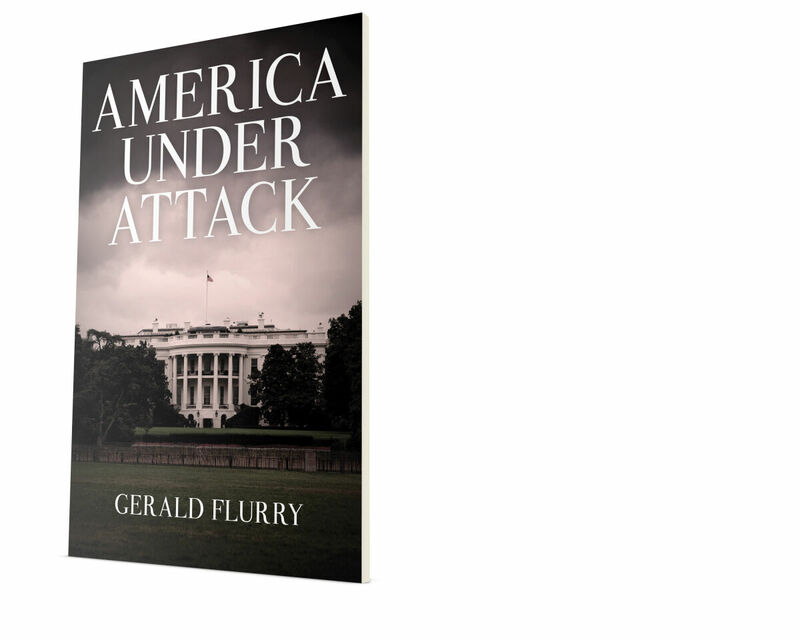 To prove this astounding truth to yourself, request your free copy of America Under Attack, by Gerald Flurry.